This is my first opportunity to greet you from the pages of Portal as the director of LLILAS Benson. I came into this position with many years of connections to LLILAS and the Benson Collection. I started teaching at The University of Texas at Austin in 1990, when I had an appointment at what was then known simply as the Institute of Latin American Studies (ILAS). I went on to serve as faculty in my two other “home” departments, History and Religious Studies. During this hiatus, I still kept my finger on the pulse of Latin American Studies through my continuing membership on the LLILAS Executive Committee. Membership on this faculty decision-making body felt especially consequential during the precarious, daring, and experimental first years of the LLILAS Benson partnership, under my predecessor Charlie Hale’s energetic leadership as director. 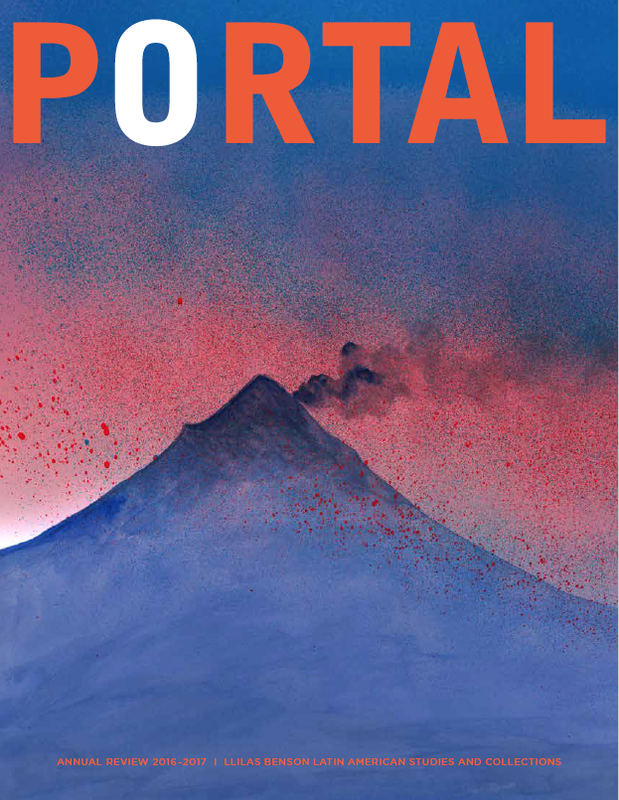 I come to the end of my first year as director with my eyes still open wide in amazement at the breadth, depth, and scope of the work done at the world’s premier institute and collection built around the study of Latin America. The LLILAS Benson partnership is now in its sixth year, and, with the careful guidance of our top leadership team and the ongoing efforts of our hard-working and dedicated staff, the combined energies from both “sides of the house” have become a source of added vitality and opportunity for scholarly engagement and innovation. Ernesto Cardenal reads poems from Cántico cósmico at the Nettie Lee Benson Latin American Collection, November 15, 2016. Photo: Travis Willmann. This academic year began with a spotlight on LLILAS Benson’s Black Diaspora Archive during “Black Matters: The Future of Black Scholarship and Activism,” the first international Black Studies conference ever held on the UT Austin campus. 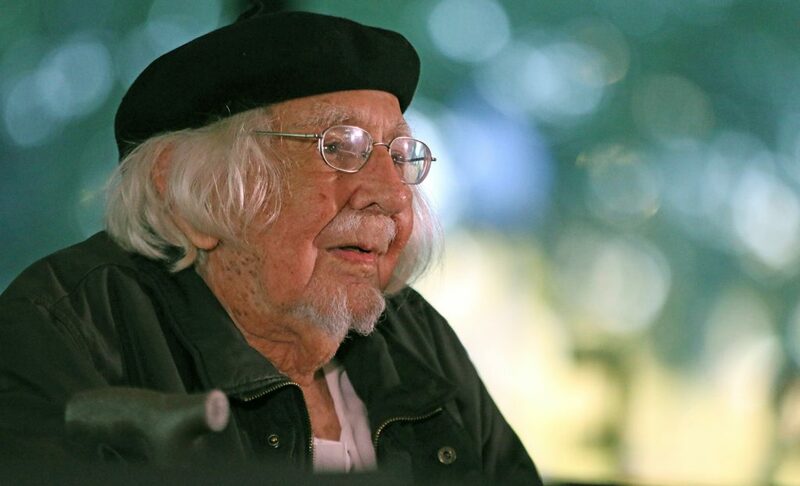 In November, we welcomed Nicaraguan writer, politico, and priest Ernesto Cardenal, age 92, who gave a stirring poetry reading at a symposium celebrating the opening of his archive at the Benson. (Read “Cardenal in Hard Times,” by Luis Cárcamo-Huechante.) Also in the fall, visually stunning exhibition of treasures from the Benson’s rare books and manuscripts collection highlighted the linkages between Acapulco and Manila in the colonial Spanish world. This past spring, the annual Lozano Long Conference focused on global food issues through the Latin American lens. (Read conference contributor Edward Shore on Brazil’s endangered roças.) That was followed by ILASSA, a three-day international scholarly conference organized entirely by LLILAS graduate students. 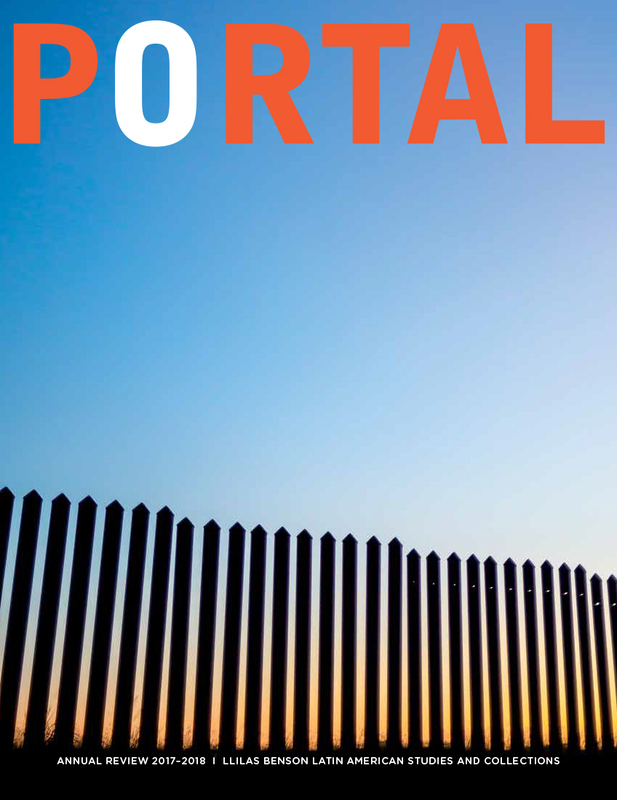 (Read Itza A. Carbajal on ethics of digital research on social movements.) In May, we wrapped up the academic year with a symposium titled “Reading the First Books: Colonial Documents in the Digital Age,” the culminating event of a two-year digital humanities collaboration between LLILAS Benson, the UT Libraries, and Texas A&M that was sponsored by the National Endowment for the Humanities. 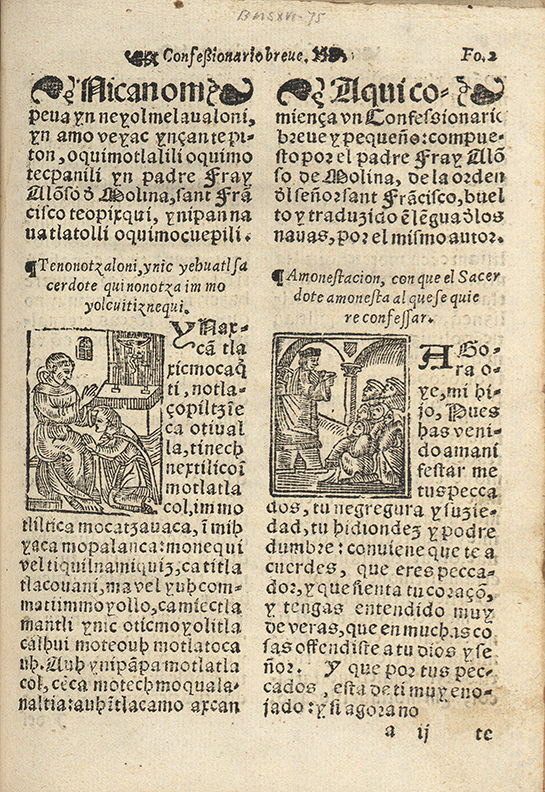 A page from Alonso de Molina’s Confesionario breve, en lengua Mexicana y castellana (1577) with parallel columns of Nahuatl (left) and Spanish text. This is an example of a religious text missionaries used to spread the Catholic faith in Central Mexico. Primeros Libros de las Américas, Benson Latin American Collection, University of Texas Libraries. “Reading the First Books” underscores one of the prime directions in which LLILAS Benson is currently headed, which is to make rare materials and primary sources available through open-access in digital platforms to scholars everywhere. A new digital initiative titled “Cultivating a Latin American Post-Custodial Archival Praxis” furthers this objective. With a $700,000 grant from the Mellon Foundation, the project will focus on preserving vulnerable human rights documentation from Latin America in partnership with organizations in Mexico, Brazil, and Colombia. Read the article here. Another such initiative is being led by history professor Matthew Butler, who has built a collaboration between LLILAS Benson and the Archivo General e Histórico del Poder Ejecutivo de Michoacán (Mexico) to digitize libros de hijuelas, community deed records dating from 1719 to 1929. This effort is generously funded by the British Library. Projects like these continue to attract dynamic and engaged students to LLILAS Benson, and our student program, the very heart of what we do, is thriving. The graduate student cohort is diverse, representing a wide range of national and intellectual interests from across Latin America and the United States. The students’ passion and commitment to social justice is evident throughout the warp and weft of their work. Our alumni are equally inspiring. Former students have gone on to pursue meaningful careers in NGOs, government, business, public policy, academia, the nonprofit sector, and the media. Many of them affirm that it was their study of Latin America at UT Austin that helped set them on the road to a purposeful life. Read about the work of immigration attorney and alum Barbara Hines here.